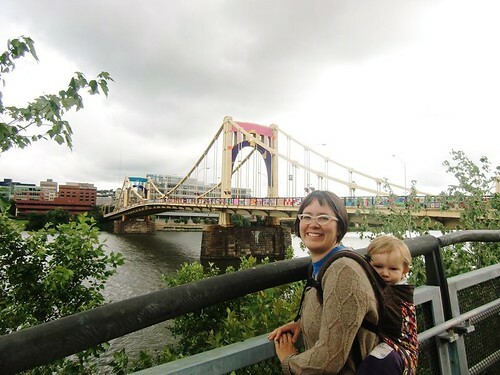 A special collection of patterns made to commemorate the Knit the Bridge community-wide yarn bombing in Pittsburgh, PA (2013). Includes a super warm mitten pattern with a fingerless mitt option, a warm and woolie winter headband, and an earflap hat pattern with optional topper. When you click on the button below and follow through on the payment, a 10 page automatic download in pdf format will be delivered to your email address. This entry was posted in community, cosyknitsliterally, hats, knitting, mittens, patterns by cosymakes. Bookmark the permalink.